On April 4, 2017, history was made in the fancy colored diamond world. The Pink Star, now known as the CTF Pink Star, sold for $71.2 million dollars in less than 5 minutes. In recent years, deals such as the sale of the Pink Star have been turning the heads of investors all around the world. Colored diamonds like the Pink Star get their hue from the existence of various impurities such as boron, nitrogen, and even hydrogen in their crystal lattice. These elements get trapped in the diamond’s formation for over millions of years and are now a part of the investing industry. Normally when someone assumes an investment opportunity, they think of real estate, stocks, gold, and even antique cars. 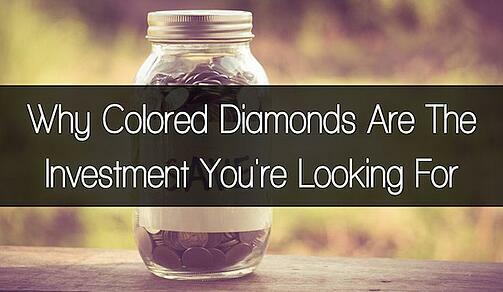 Colored diamonds however, is an investment thats being driven by investors hoping to stay on top of a hot market. From 2009 to 2016, pink diamonds have increased 180% according to the data provided by the Fancy Color Research Foundation. Over the same period, blue diamonds have been up 70% while yellow diamonds are up 90%. Thanks to a flourishing economy, investors have been looking into arcane assets, typically not understood by many. Let’s take a minute and look at growth of other forms of alternative investments. If the above three data points are viewed from an outside perspective, the first instinct for an investor is to go after vintage cars and classic wine. But here’s why they might not be the most suitable investment. According to insight by Brian Martucci, he says, “you shouldn’t expect to pay less than $30 for a 750 ml bottle of investment-grade wine.” In terms of investment, where’s the growth? In this instance, in order to make $1000 profit, you would have to invest in 20 ($30 investment-grade) wine bottles that grows at a rate of 267% in 10 years. What if you went after a more expensive bottle? While you might be able to get lucky with a higher valued investment, it only takes one wine critic to make it worthless. Brian continues, “For instance, 2004 Chateau Sarget de Gruaud Larose, a red from St. Julien, France, has an excellent pedigree and was bottled with high hopes. However, famous wine critic Robert Parker characterized it as a “major disappointment,” and it now sells for about $35 per bottle”. 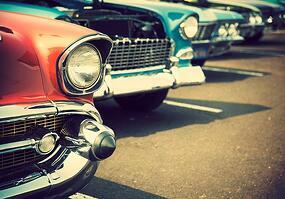 There’s nothing more awesome than owning a vintage antique car. Keeping the car in mint condition, an investor can easily take it out for a spin on a warm sunny day. But if you’re looking to sell your investment, you’re in bad luck. At auctions, only about 3% of vintage cars sell and they have to be the best of the best. Having this in mind, if you’re looking to quickly liquidate your vintage car, it’s not going to be the easiest. On top of it all, maintaining and storing a vintage car isn’t easy or cheap. If you’re unaware, the Argyle mine is scheduled to cease operations by the year 2020. This specific mine is responsible for roughly 90% of all naturally colored diamonds in the world. In size, it’s the fourth largest diamond producer. Under the simple logic of supply and demand, once the mine is closed and the supply of new colored diamonds slows to a trickle, the value of existing diamonds should continue to robustly grow. Not only will investors be one of the few that own a colored diamond, but also the best part of these assets are that they can be worn. With a polish here and there, you can feel like a celebrity. Don’t feel safe wearing an expensive investment? Colored diamonds can be easily stored in a hidden, secure safe. The same can’t be said for other investments such as a vintage car or stocks. When investing in any form of asset, investors have to be smart, logical, and confident with their decision. If you are unsure about how to position your investments in fancy colored diamonds, Arpège Diamonds stands ready to help. 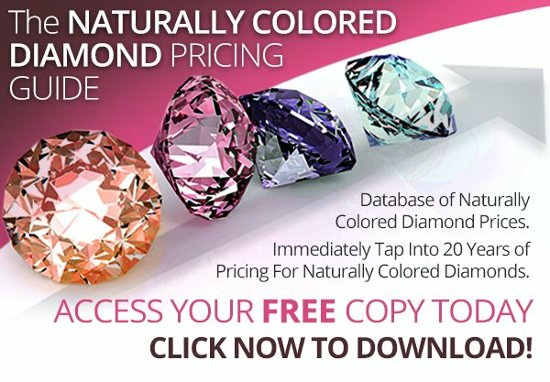 With over 50 years of combined industry experience, we'll help you gather the most effective information and insights so that you can make educated decisions on your fancy colored diamond investing. You can contact us at 866-821-5508 for a personalized review.